The world is changing, transportation is evolving, and the traffic analysis solutions have adapted. Informed decision making is imperative to building sustainable road infrastructure. Nothing will provide road managers with richer information than reliable, permanent monitoring systems. 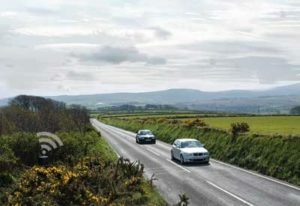 The technology currently available for accurately monitoring busy multi lane roads (+3 lanes/direction) requires permanently embedded systems. Affordable and easy to install, induction loops are a tried and tested technology. 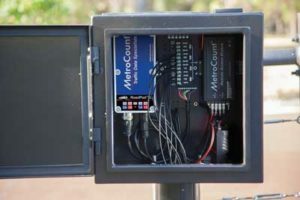 In recent years, however, MetroCount has innovated the approach to data collection, transmission, and storage. MetroCount’s RoadPod VL works smoothly both out-of-box or when connected to pre-installed loops. Due to their modular design, these counters have no limitation on the number of lanes of traffic that can be monitored. 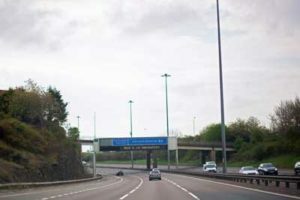 They record detailed data, such as individual vehicle speed, length and the gap between vehicles. Storing information at this level makes data manipulation very flexible. In addition to quality statistics, our FieldPod telemetry system enables remote site diagnostics and data download with minimal data loss and improved redundancy. “Most of our sites in Cornwall are simple two-loop counting sites; either permanent or on rotation. Your counters work absolutely fine with our existing loop sites. Piezoelectric sensors are very sensitive, providing the same level of data quality and detail as tube counters, but in the long-term. Embedded in the pavement, piezoelectric strips are very light and flexible which enables them to comply with various road profiles in a non-obtrusive and durable manner. 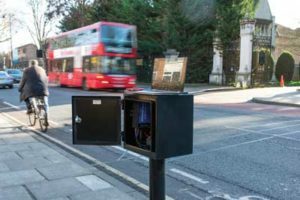 MetroCount’s RoadPod VP piezoelectric counter is designed to monitor multi-lane roadways. Also modular, this system can connect to others alike for a customized solution and/or to an additional remote access hardware. After using portable counters for over 15 years, the Queenstown Lakes District (New Zealand) has decided to install permanent systems. Now, their monitoring network makes use of pneumatic tubes, piezoelectric strips, and inductive loops. This technology mix was recommended by our traffic experts after carefully evaluating the conditions and requirements of each site. Alison Tomlinson, Infrastructure Analyst at QLDC gives us more details about traffic in Queenstown: “Queenstown has a unique environment in that it is a ‘small town’ with big cities issues. As a world-class tourist destination, we have a huge visitor population, with a relatively small residential population. Traffic peaks often when tourists visit ski fields and other key destinations. Then, the physical landscape (mountains, valleys, rivers, and lakes) restrict traffic options for users. Queenstown is an extreme mountainous environment with high summer and low winter temperatures – subject to snow and ice, making traffic counting more complex than usual. Bicycle adoption is now a key indicator of a transition in transport modes across the globe. In this context, we have noticed an increased demand for accurate bicycle monitoring. But monitoring bicycles is only part of the equation. Is bicycle adoption increasing fast enough? Are car volumes and congestion decreasing meanwhile? The only way to answer these questions is through detailed traffic analysis and, in the last years, we have assisted several road authorities to merge their motorized vehicles and bicycle data. The London Borough of Ealing took its first step to becoming more sustainable when implementing an award-winning cycling infrastructure. This was quickly followed by the installation of RidePod BP (Piezoelectric Bicycles and Pedestrian Counter) systems across their network. Then, they decided to go a step further and install RoadPod VP counters right next to their bike sites. This measure enables the Londoners engineers to easily co-relate changes in transport patterns over time.